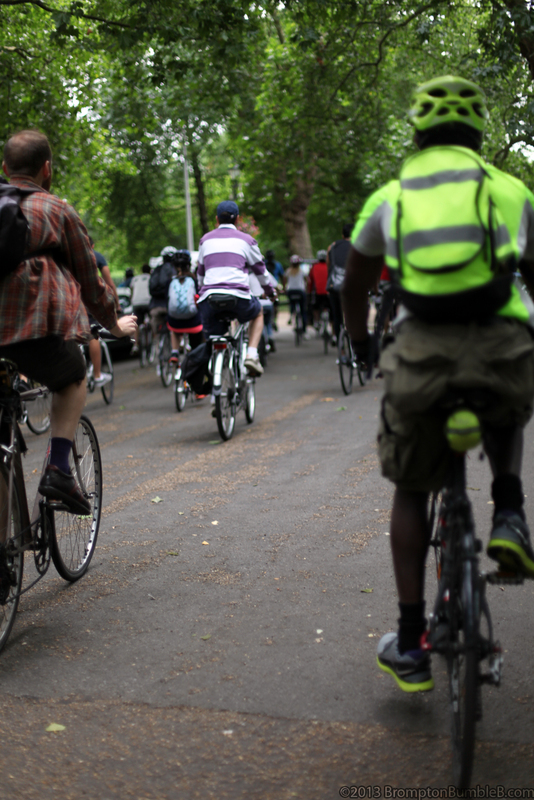 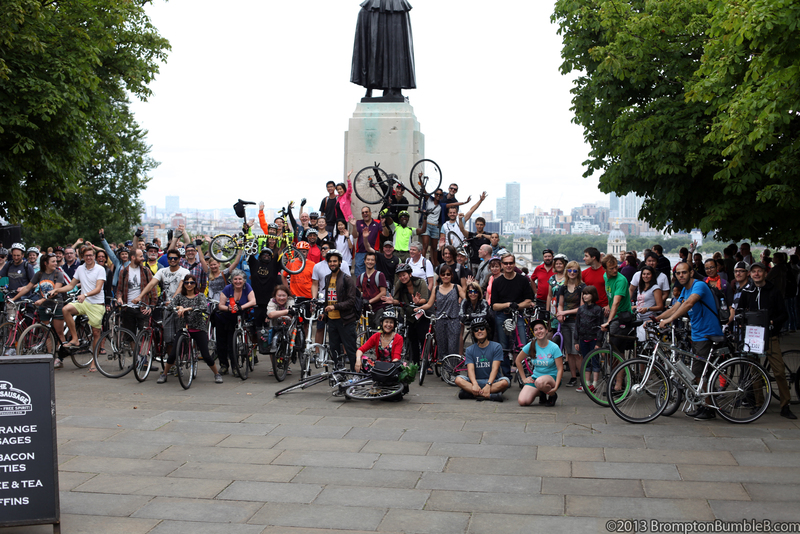 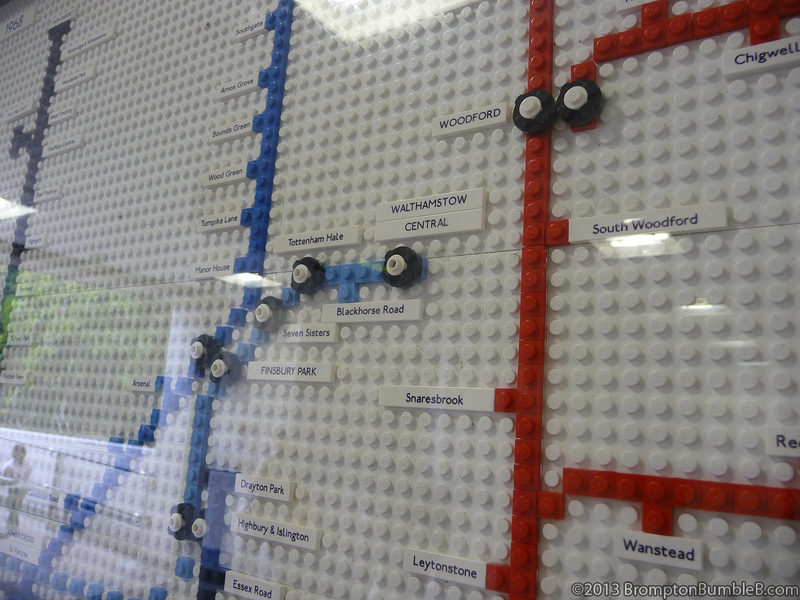 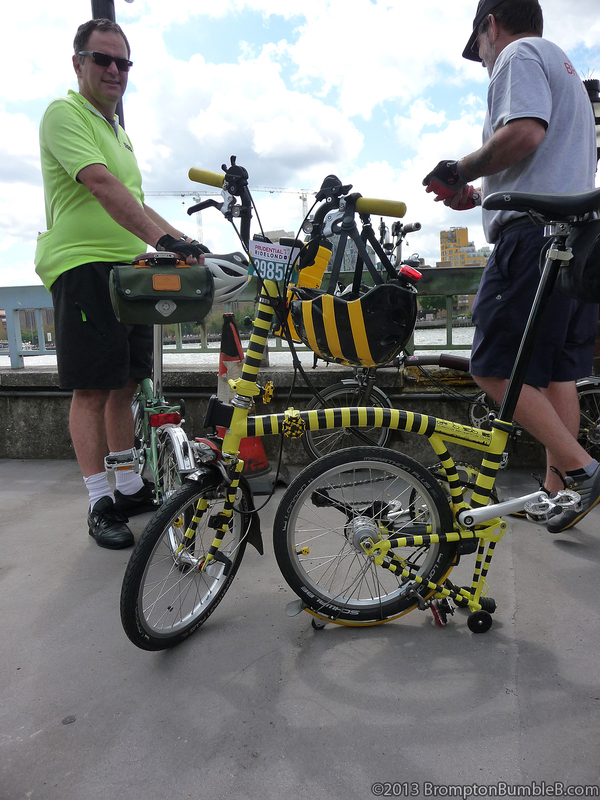 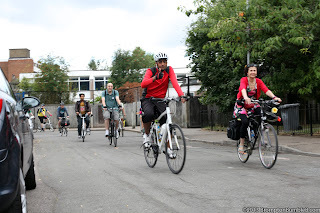 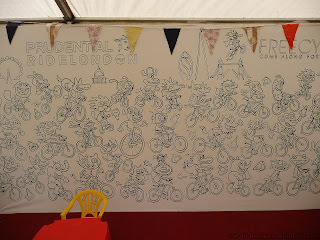 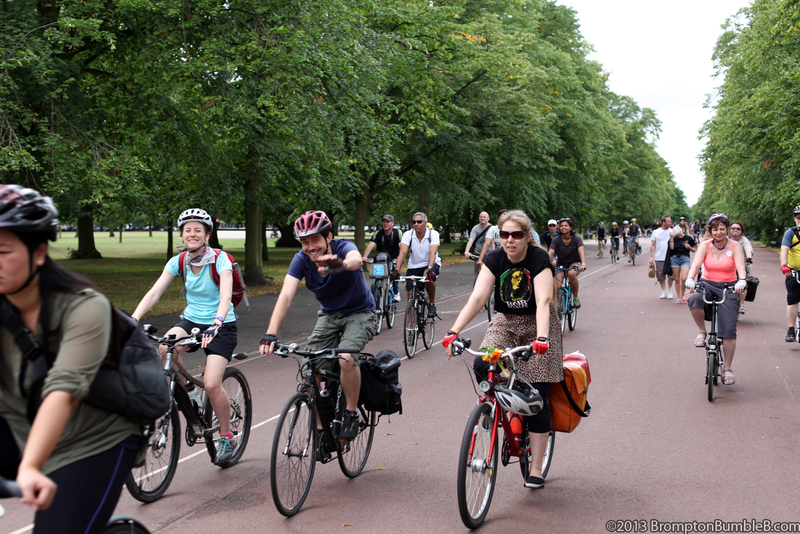 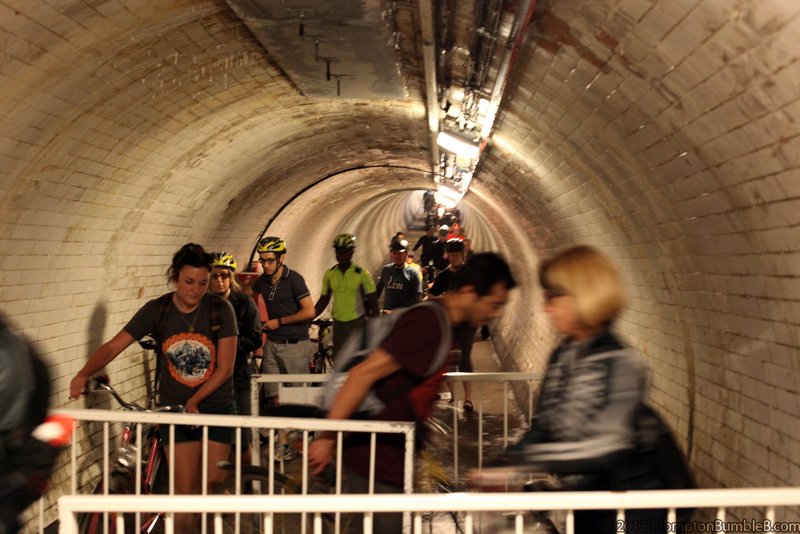 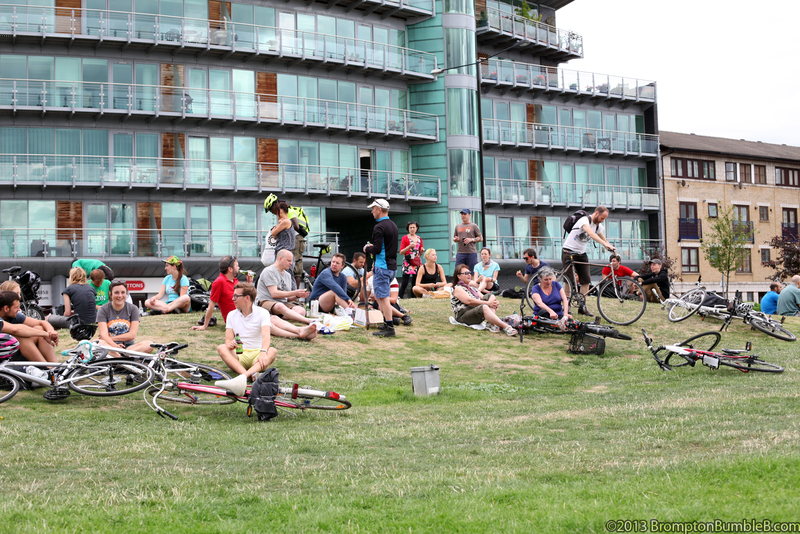 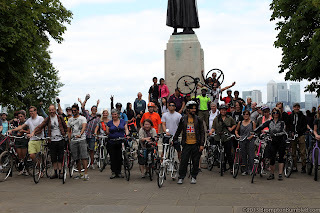 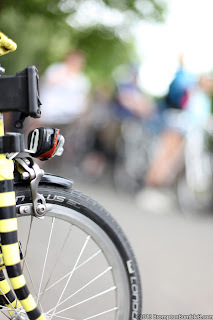 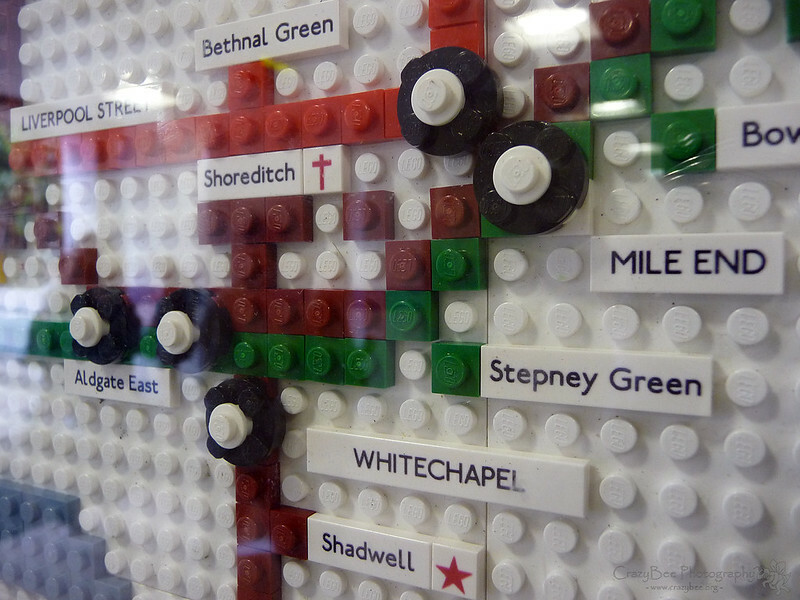 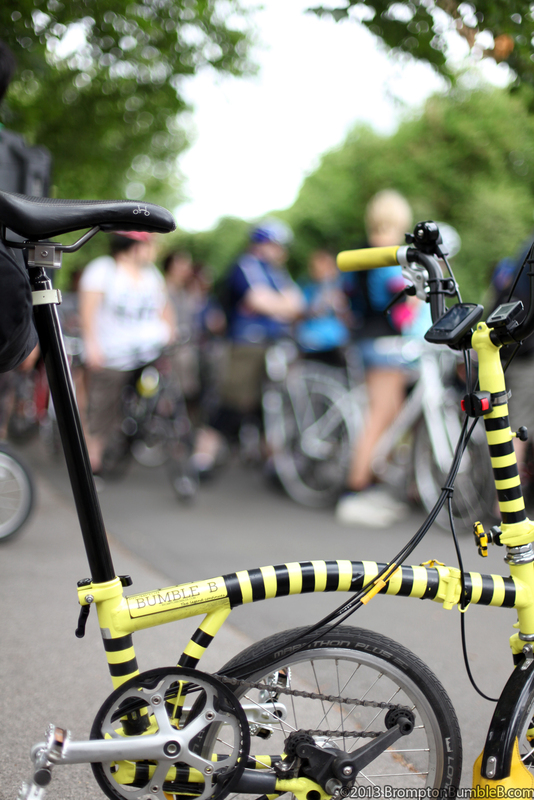 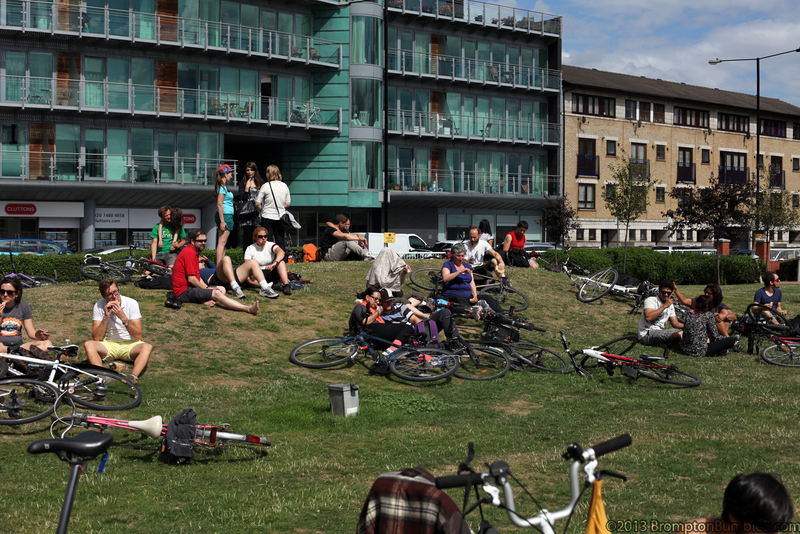 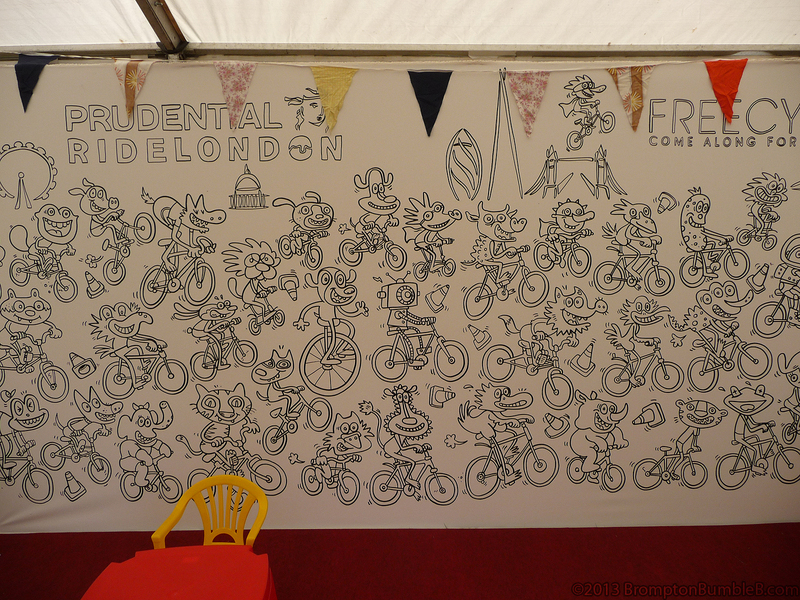 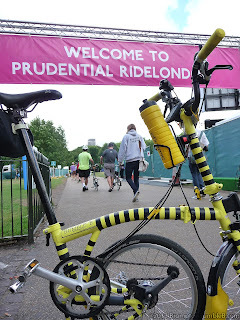 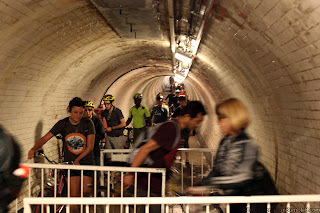 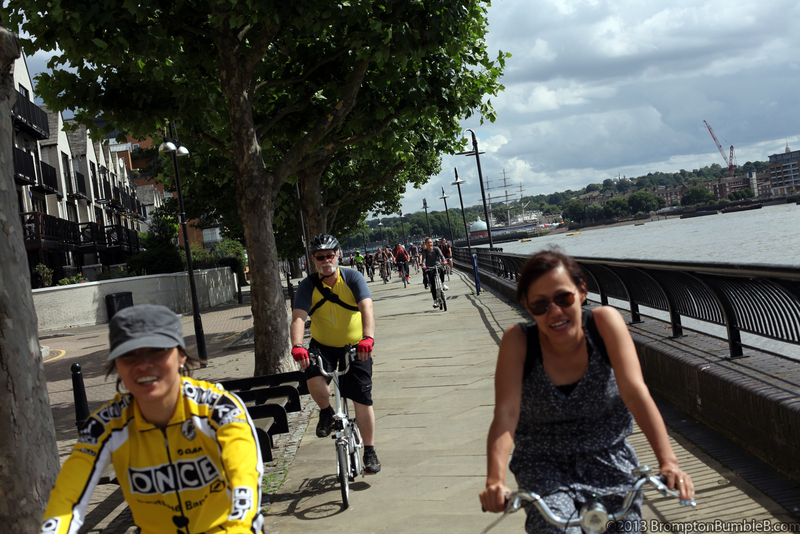 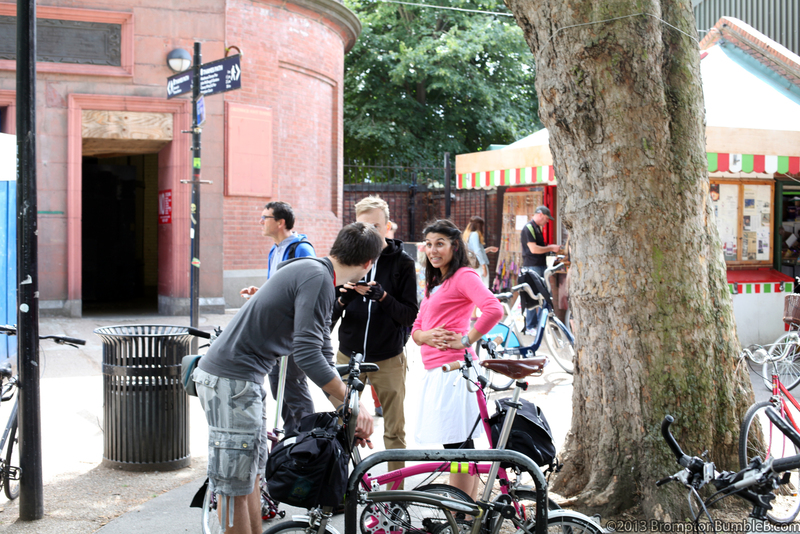 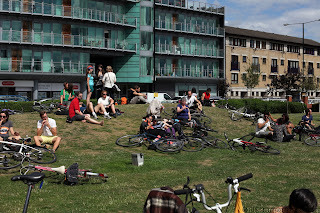 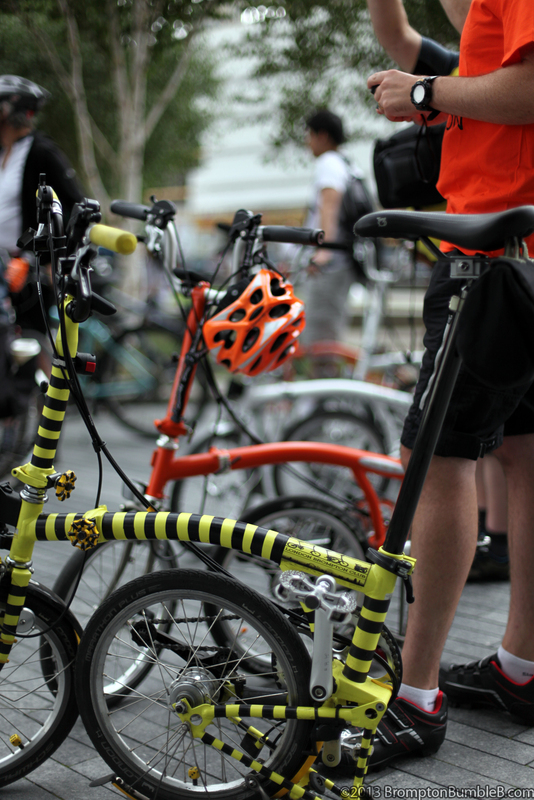 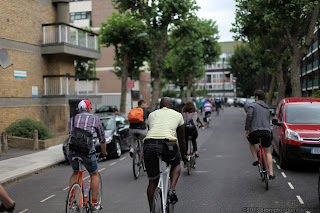 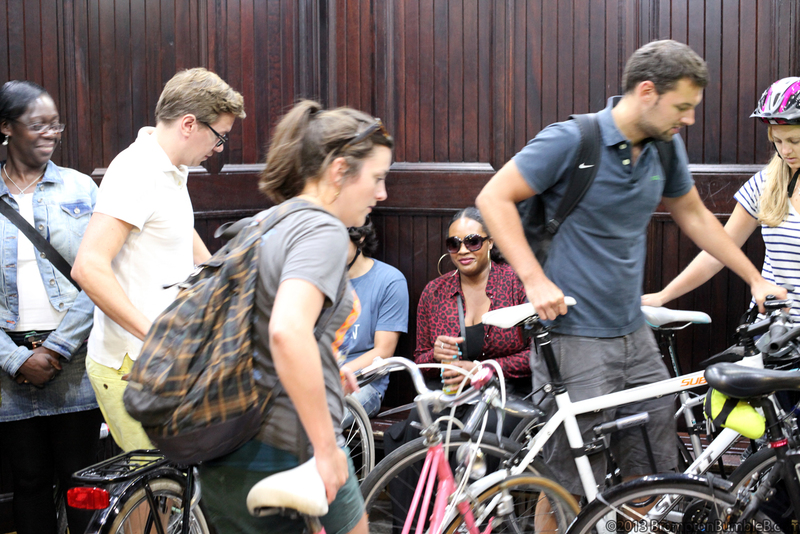 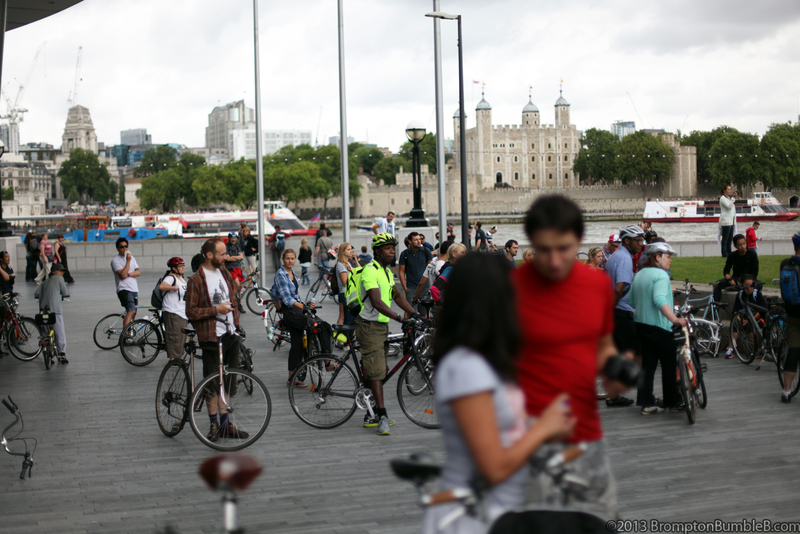 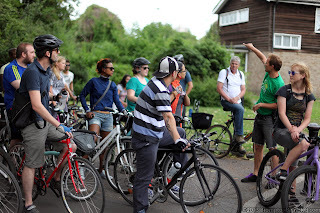 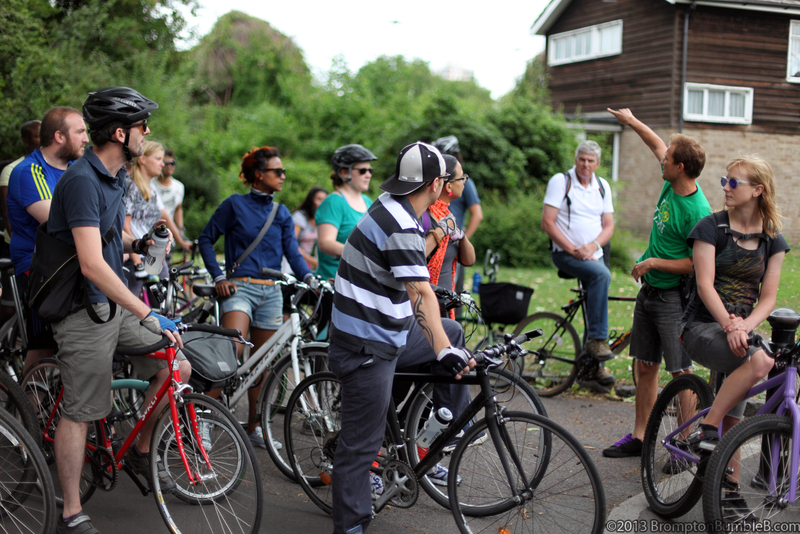 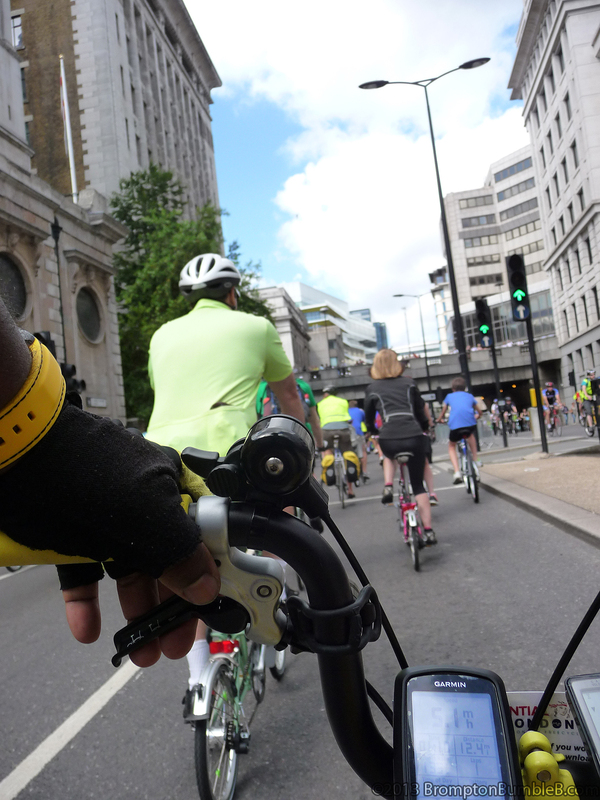 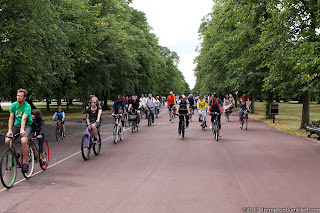 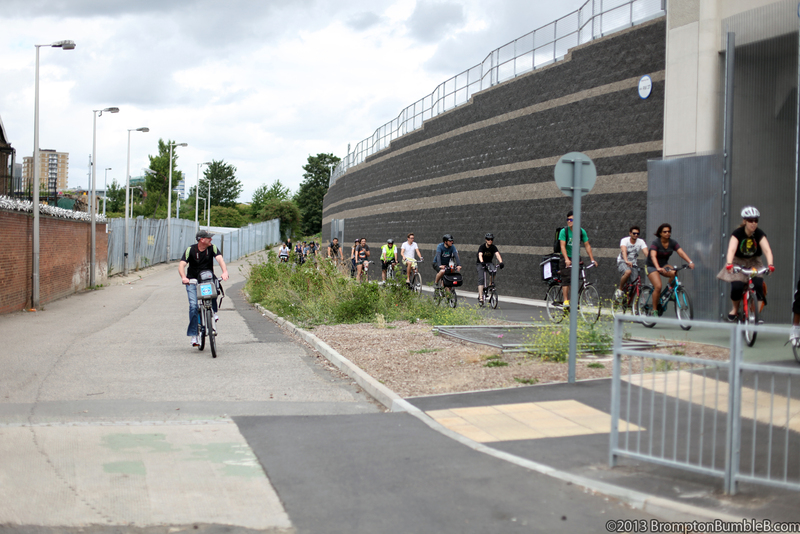 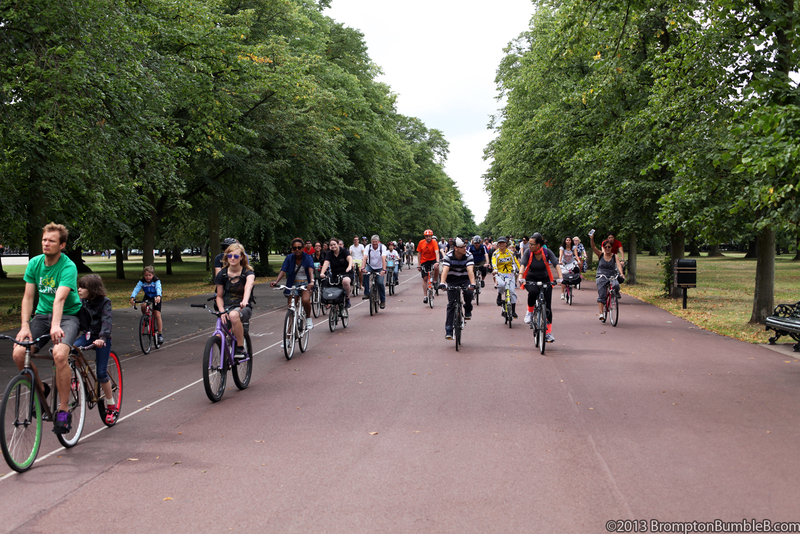 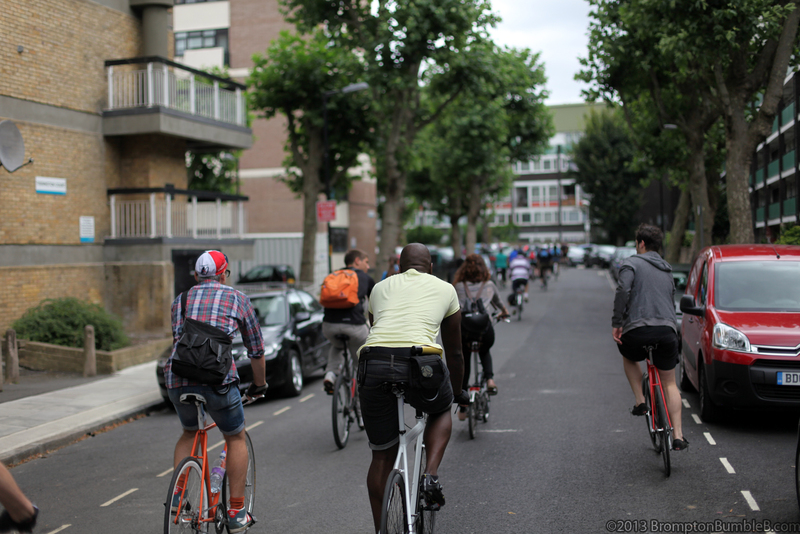 Today was promised to be a good ride with the iBikeLDN Summer Ride in good East London, along the Thames River. 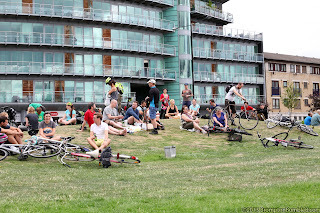 The weather was going to be good maybe a slight shower at some point but nothing major. 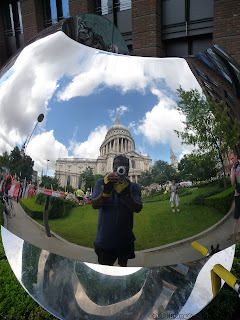 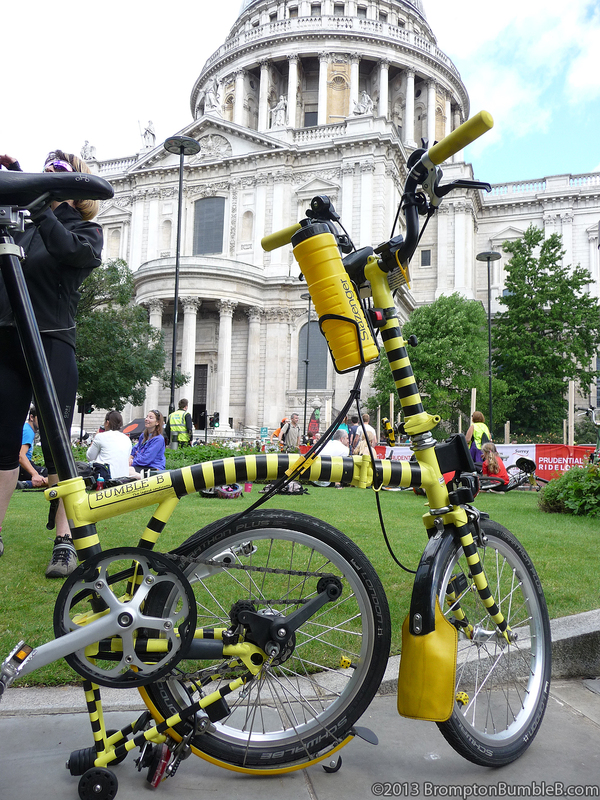 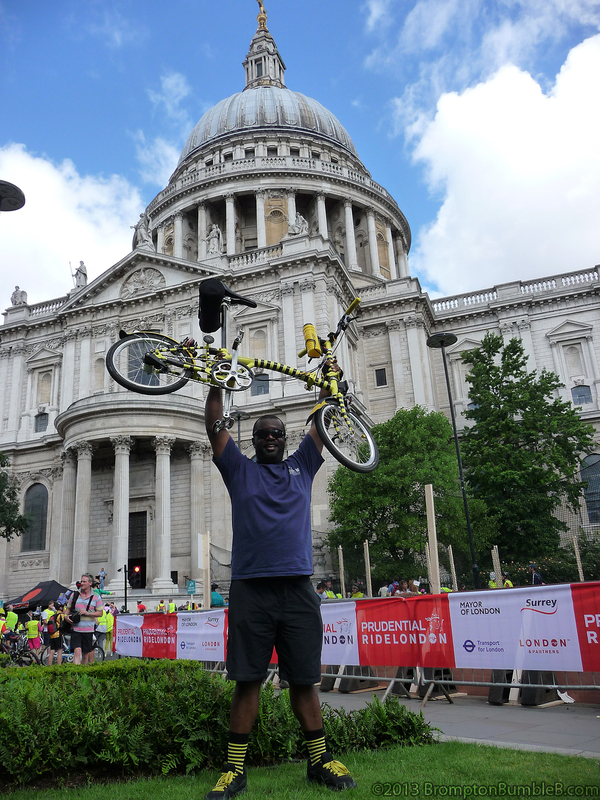 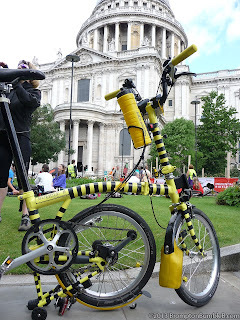 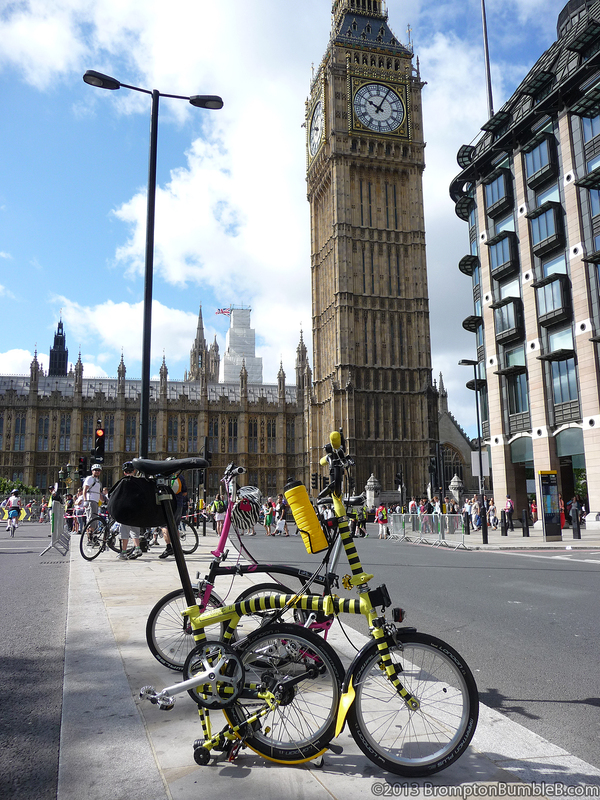 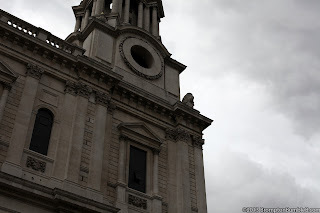 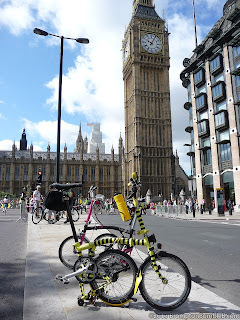 As always there was goging to be a good turn out by the London Brompton Club and we arranged to meet up at St. Paul's Cathedral before heading to the iBikeLDN starting point at City Hall. 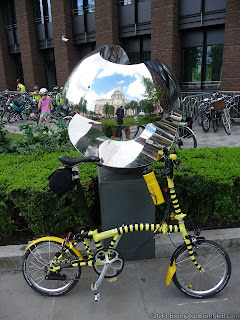 On our way to City Hall we stopped of by an installation we have seen a few times for a few snaps as we had plenty of time to get to City Hall by the Thames River. 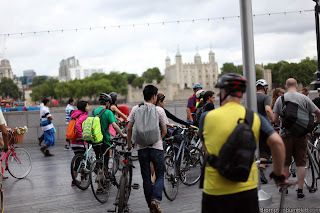 After a little safety talk and roughly where we was going from our ride leader Anthony we walked along the Thames a little bit and headed off on route. 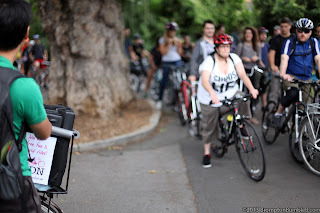 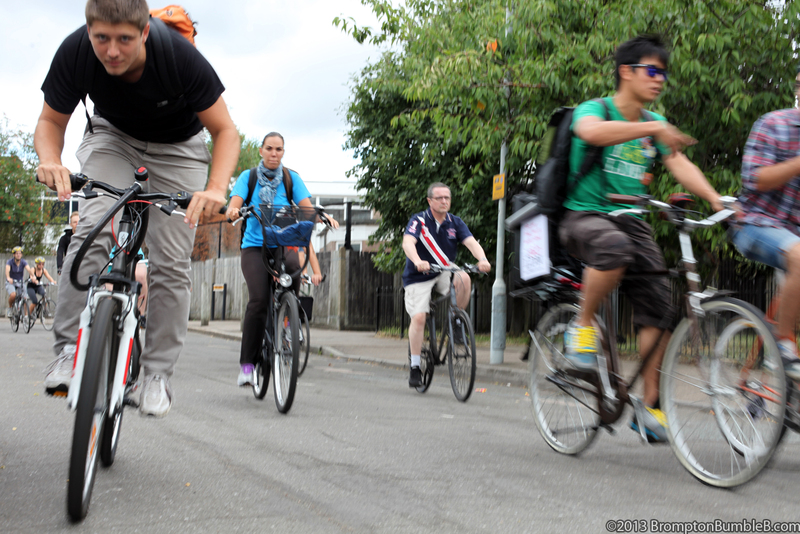 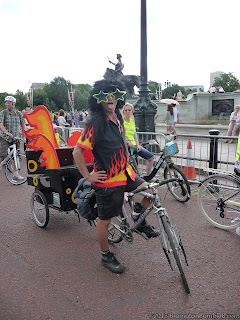 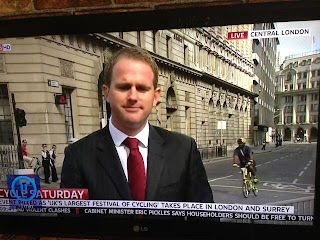 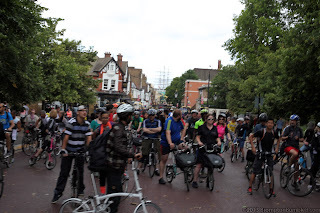 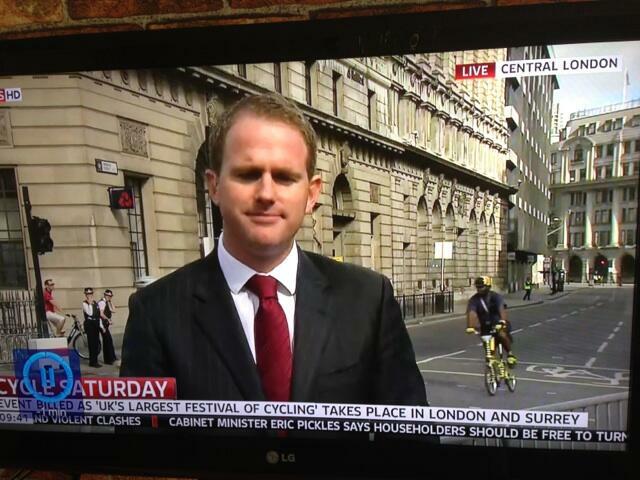 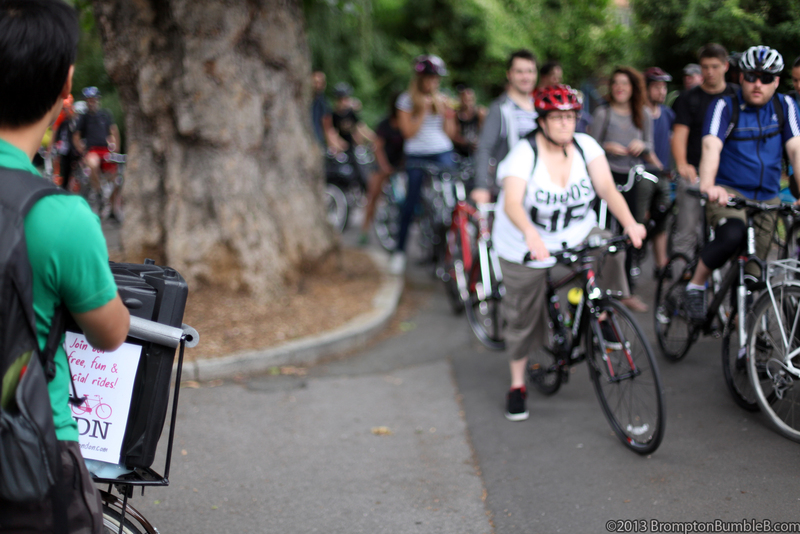 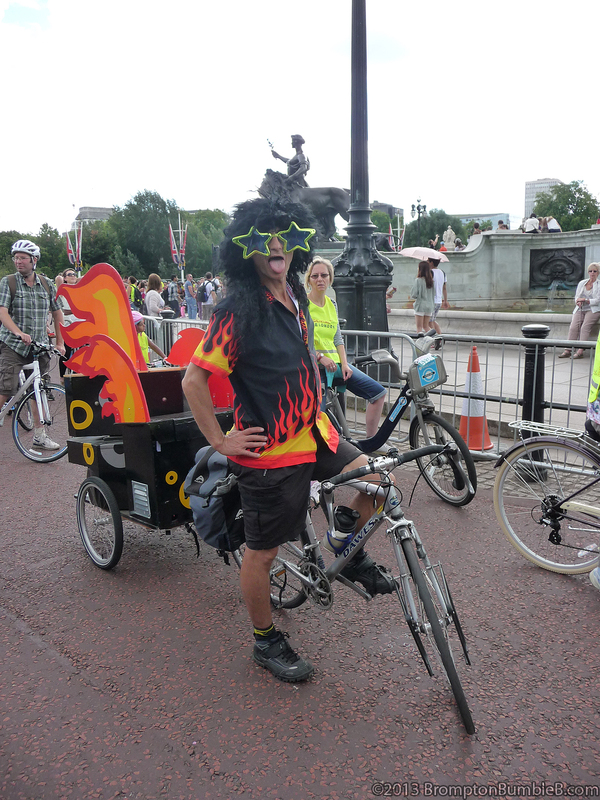 As always whenever you see lots of cyclist rolling though we see people coming out asking what we are doing. 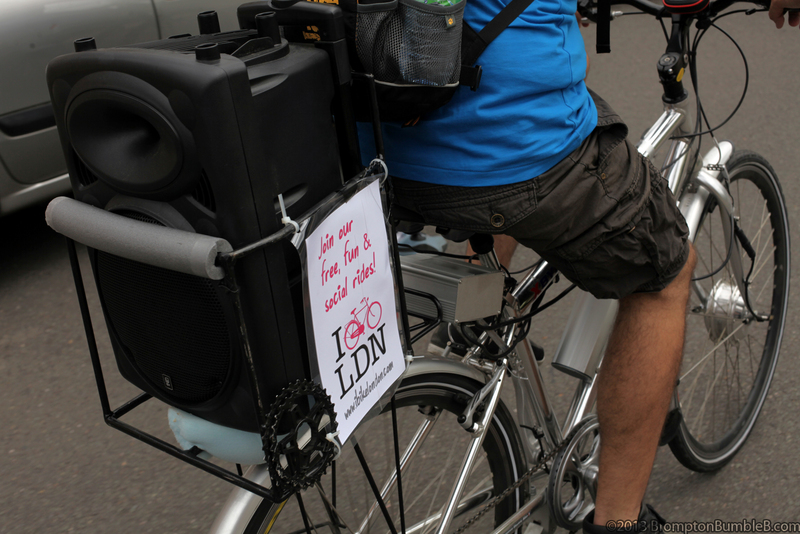 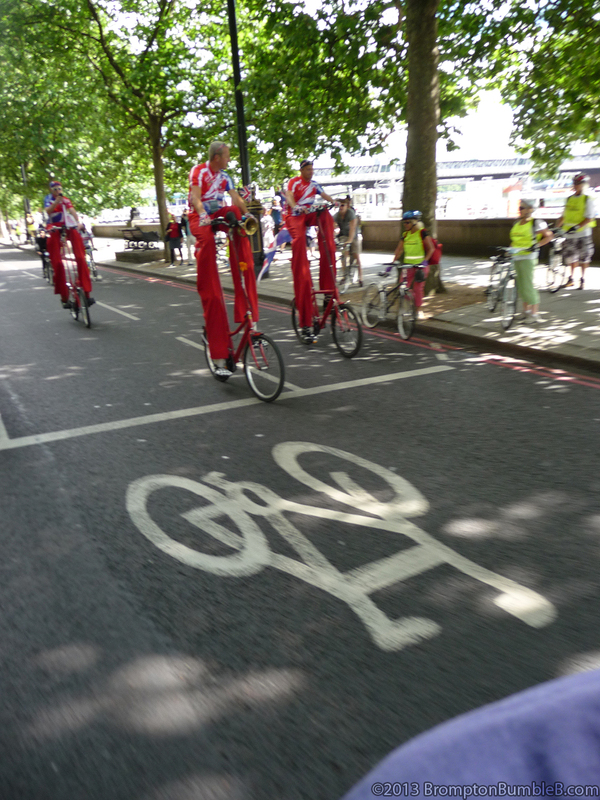 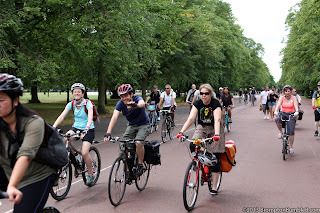 I don't think they believe that we are just cycling to enjoy the sights of London and not protesting about something. 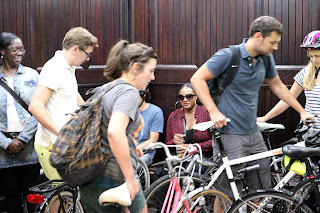 Sometimes folks we ride for the sake of riding. 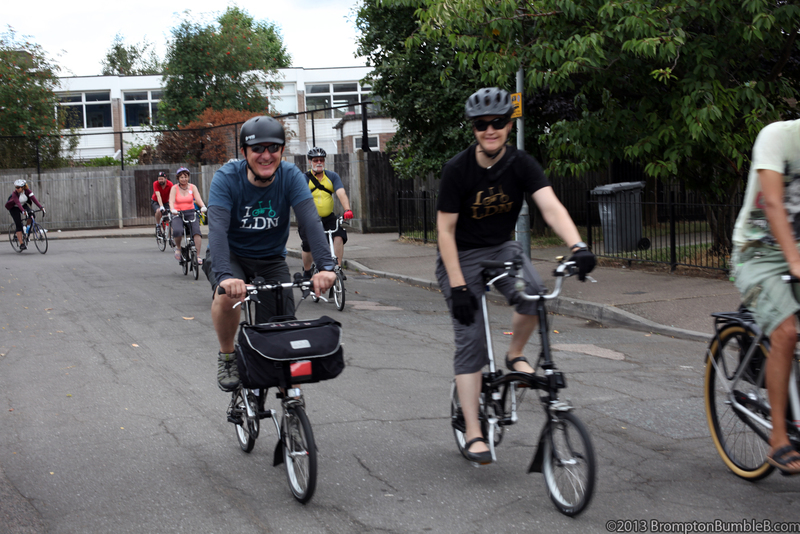 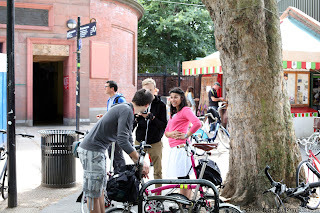 We even beckon some if we see them with bikes nearby to come and join us. 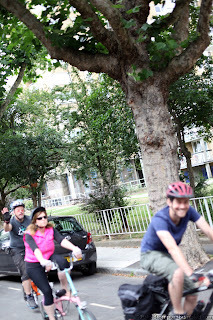 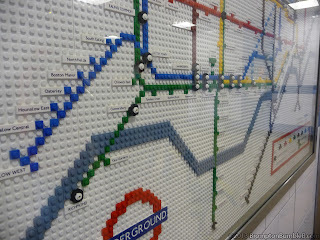 After the Southwark Park we heading off with kicking music blasting away. 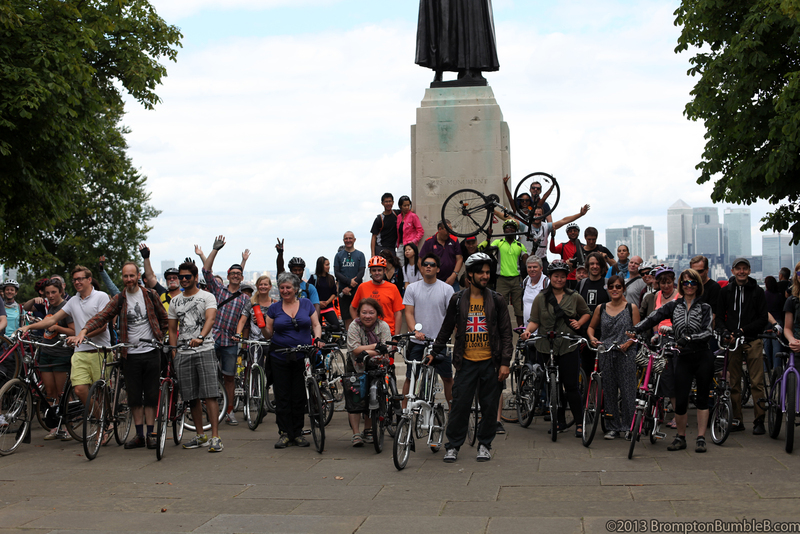 Can you spot me in this one? 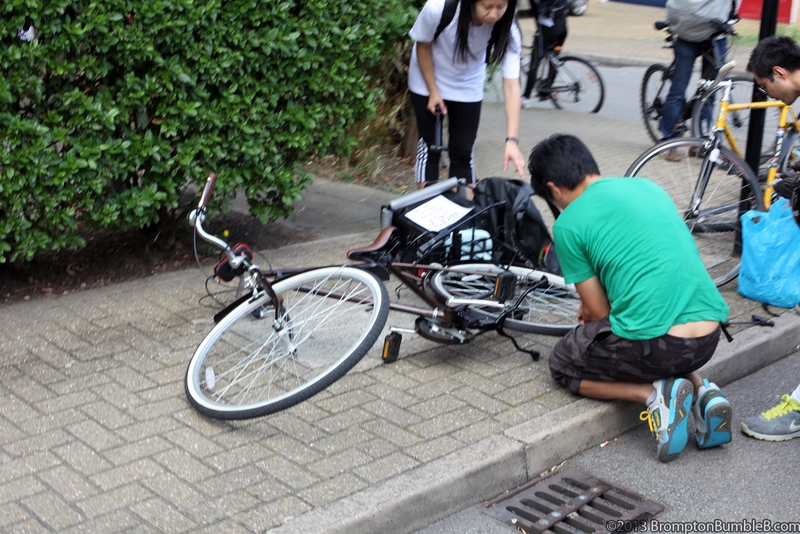 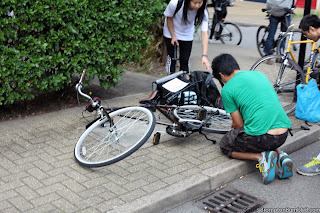 While riding near to the River disaster struck, one of the music bikes had a puncture but no fear with so many cyclist around with tools we soon got the music pumping and we was on our way. We had to catch up with the rest of the folks but we made it in the end. 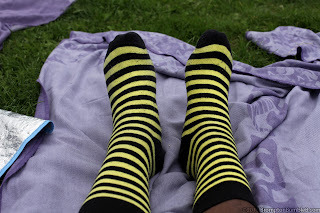 The sun was popping in and out but it was nice to sit on the grass relaxing. 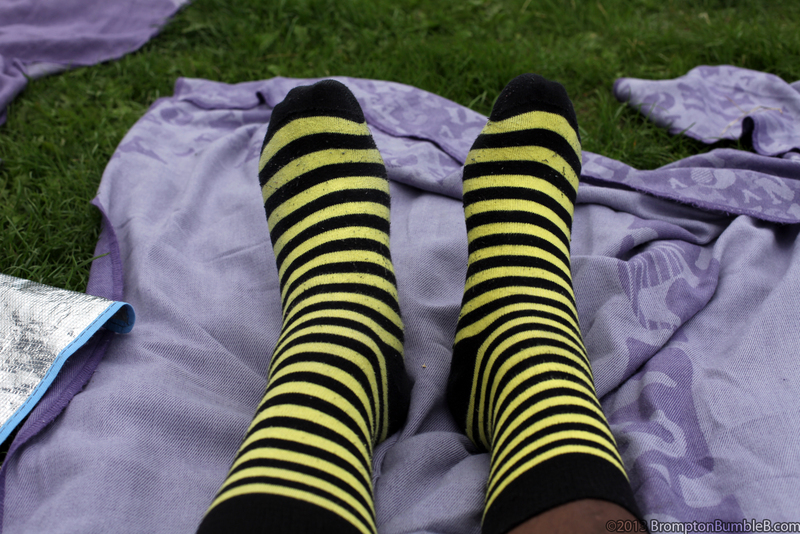 If your gonna relax do it right I say >:D my poor feet. 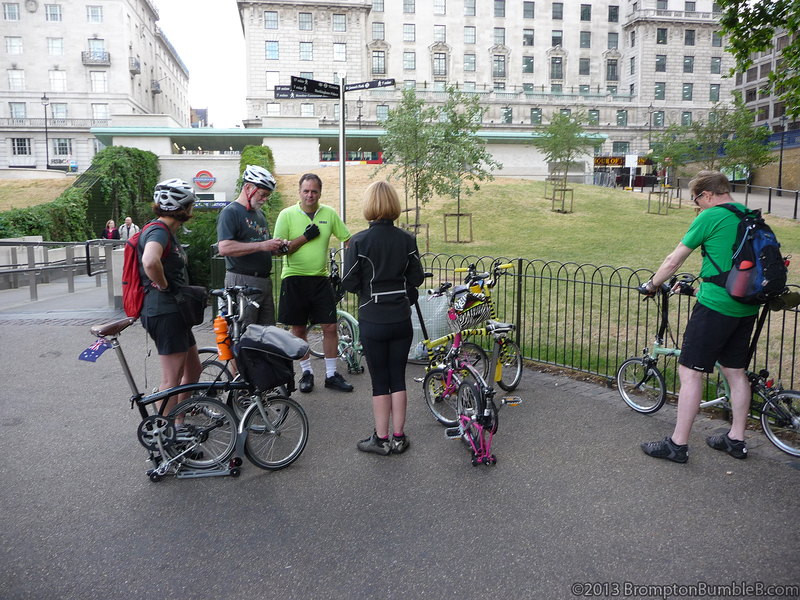 Well after while I decided to head off home, me & a couple of the LBC memebers where goig int e same direction towards Tower hill underground station and headed off saying our goodbyes to everyone and hoping to see them on other rides soon. 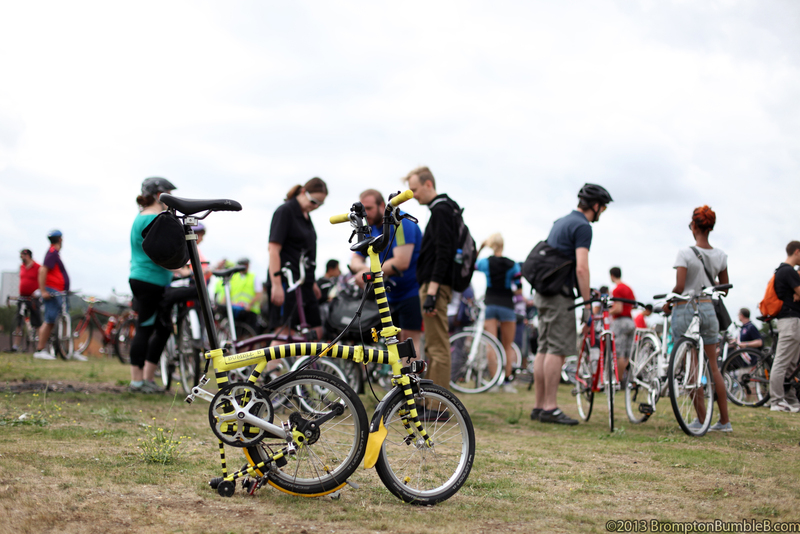 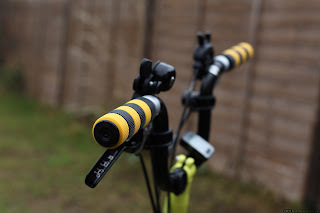 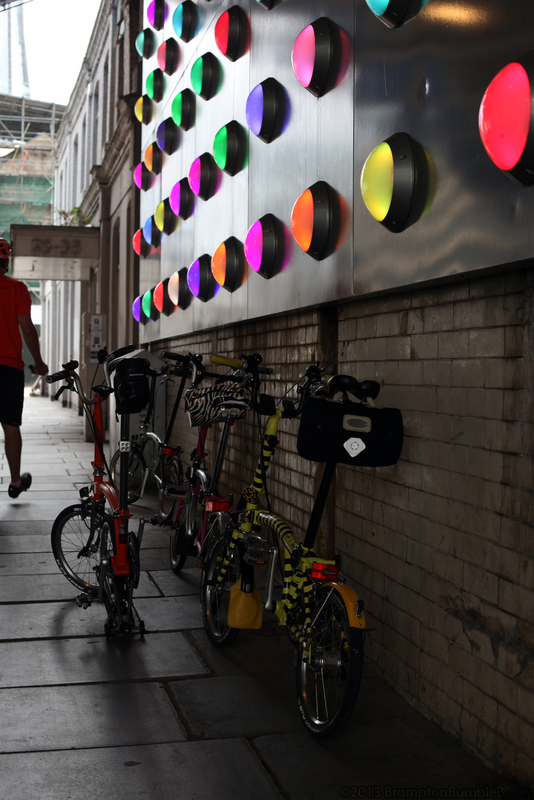 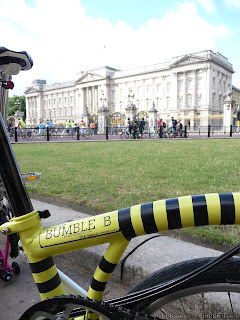 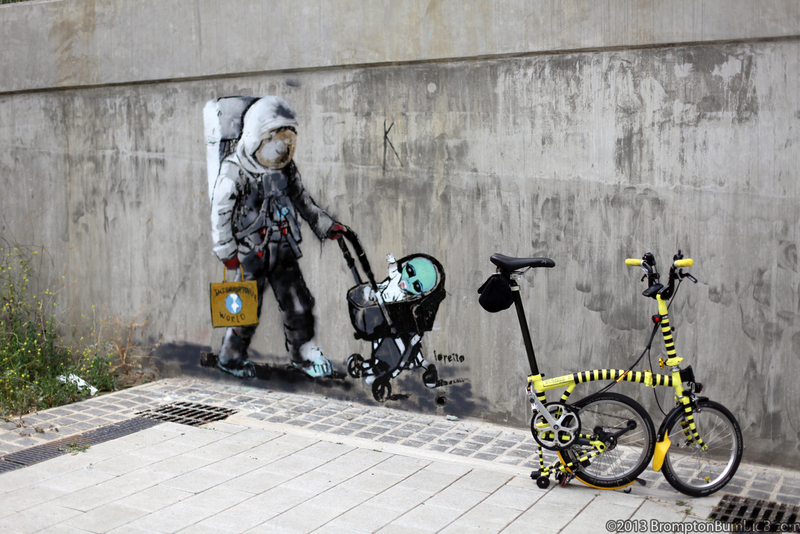 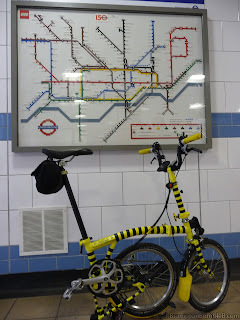 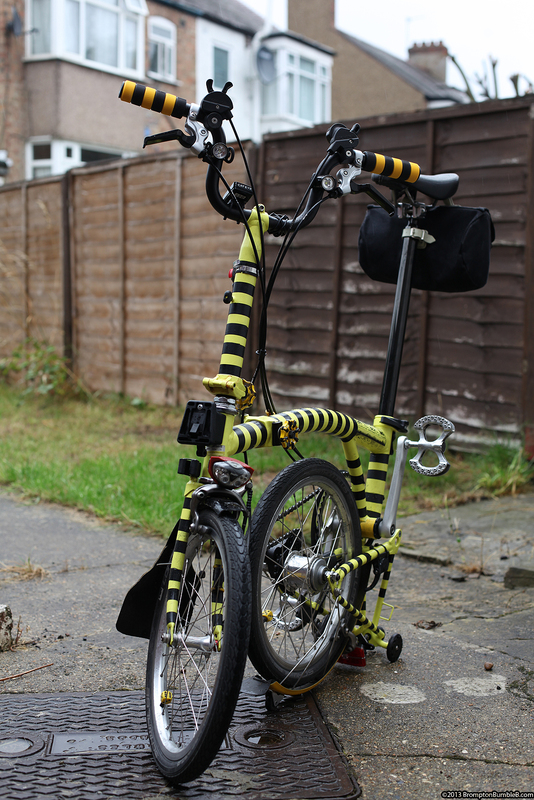 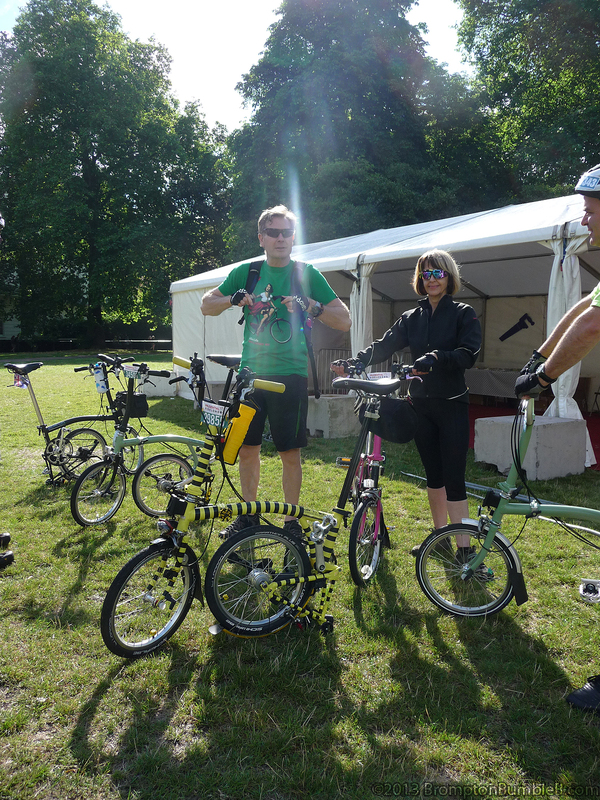 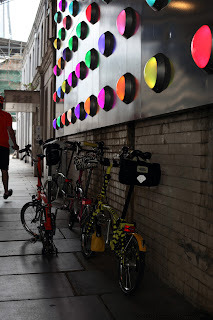 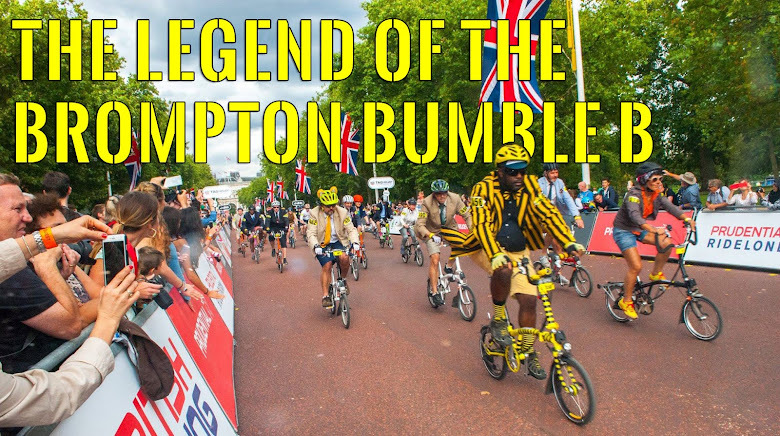 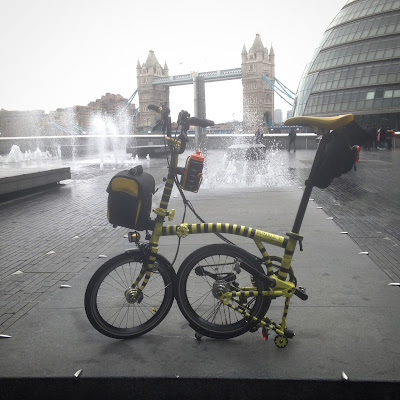 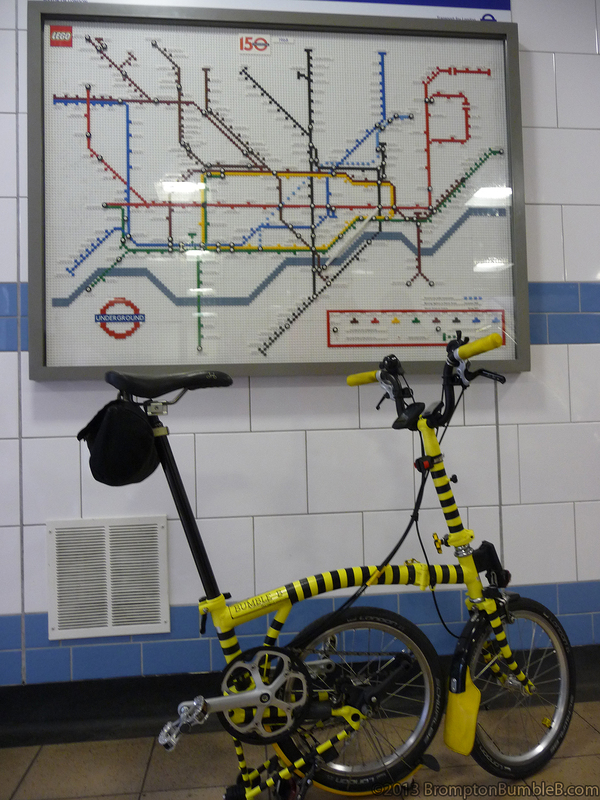 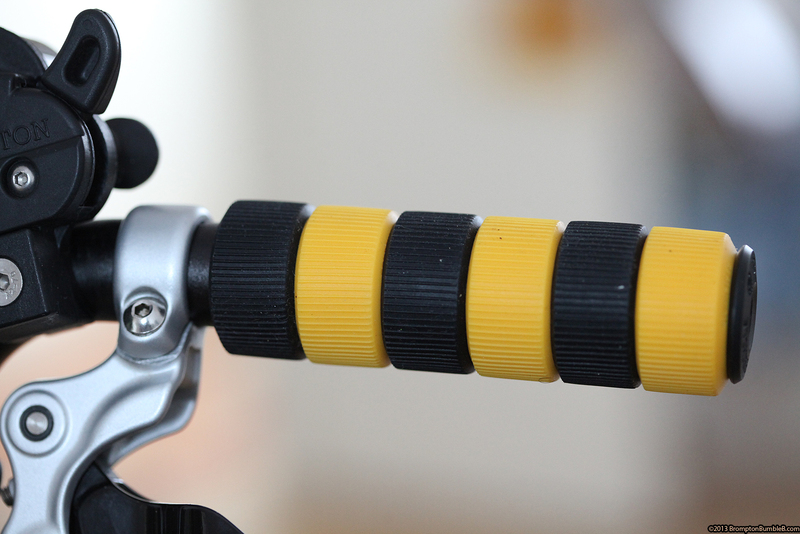 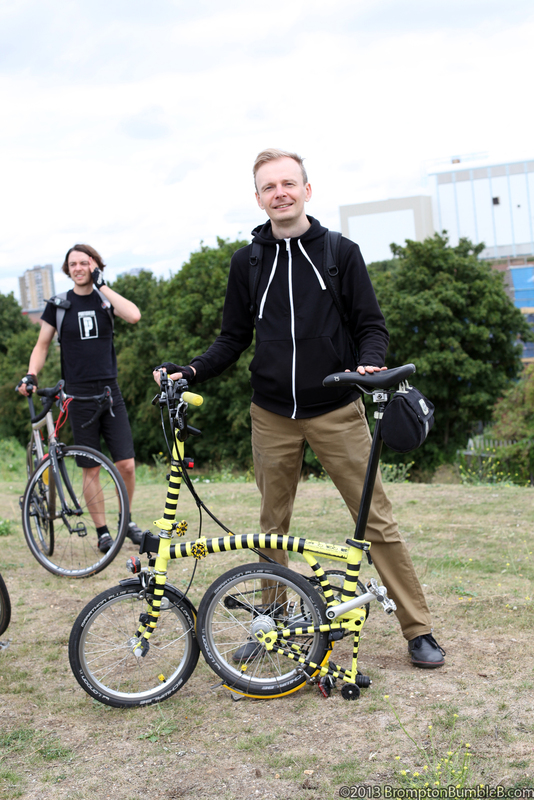 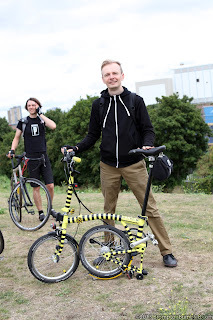 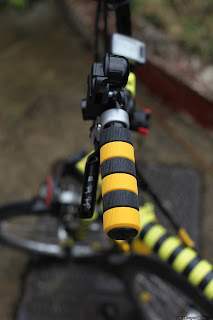 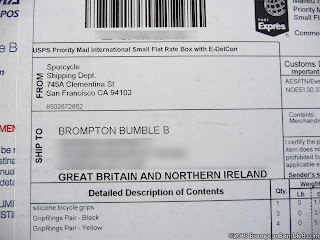 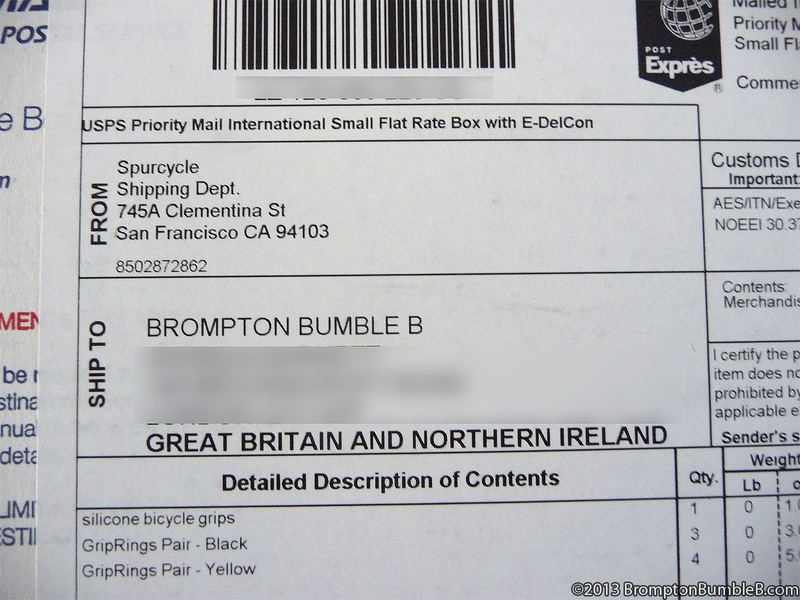 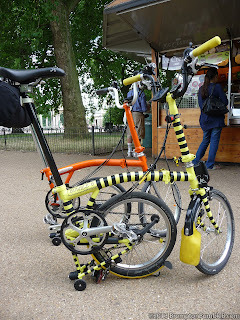 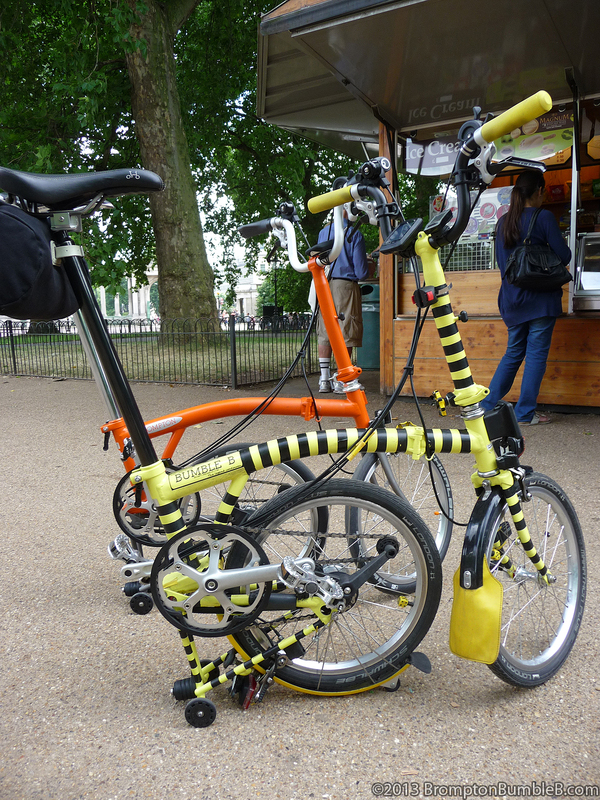 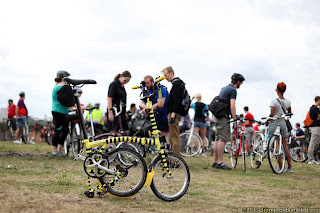 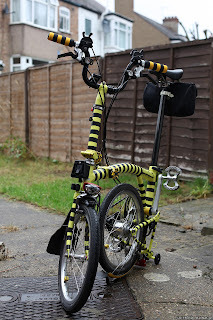 I even gave out quiet a few of my Club cards to a few new Brompton owners and hopefully they will be joining the website and checking out my crazy ramblings here.